I love your book marks, the cross is fab. I have taken up crochet again after being a teacher of the craft back in the 1970’s. Going to have a go at christmas star cards, also snowflake bookmark. Thank you for lovely patterns. Glad you like them and thanks for letting me know. It is good to know what peoples like. I can not see any tutorials. Non of them! Have replied to your other comment let me know if that doesn’t solve the issue. The tutorials are not pdfs or anything just web pages. I just came across your Angel card. Too late for this year but I’ll have a great head start for next!~ Thanks so much! Glad you like it. People seem to like them. I would love to make your cross bookmarks for Easter gifts but do not know how to follow a pattern. What do you suggest for starting? I have been told that my pattern for the cross bookmark is easy to follow. I would have thought that the thing to do was to learn the abreviations for the various stitches and if you learn how they are represented in charts as well that would be a good start. After that just follow the words and make the appropriate stitches as required. There are lots of patterns out there on the internet if you want to start with a simpler pattern first. I presume you have learnt to make all the basic stitches. Just bought your Celtic Coasters patterns and am excited to make them. 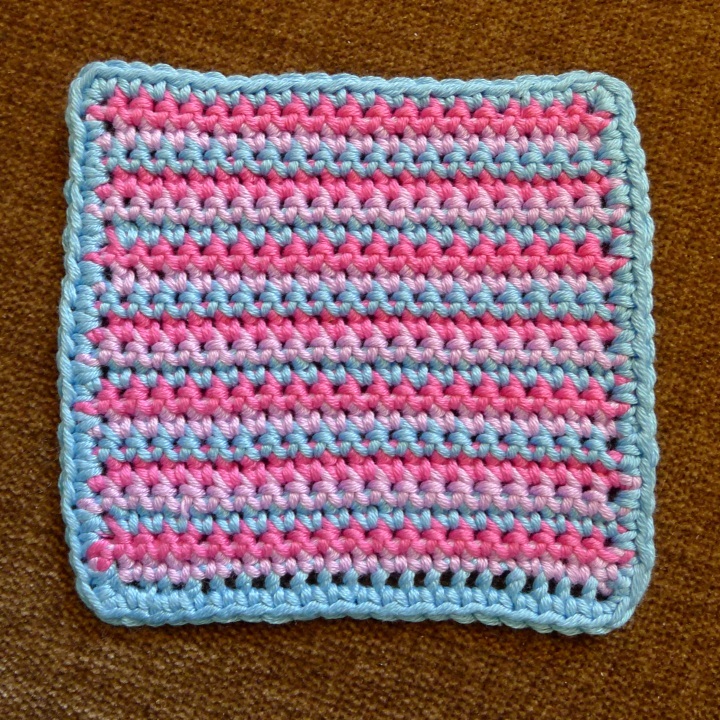 However, since I paid for the pattern in pounds, and I live in the US, I’m wondering if the pattern is using British or US terminology ~ treble crochet. Thank you. It does actually show that it is UK terms on the Ravelry page if you know where to look. I suppose because it was so straightforward I didn’t bother to mention it in the pattern as well. So yes it is British terminology. Thank you very much ~ now I can get busy making these beautiful coasters. I try to receive tutorials and free patterns but they never come. Not even the ones I want to pay for. The tutorials listed in the menu are all free. Clicking on the photo should lead to a page where the tutorial is. It does when I go there. I am now selling my bookmark patters at a modest cost and you will find them under ‘shop’ in the menu. This gives a link to the page on Ravelry where they can be bought. Alternatively click on the ‘Find me on Ravelry’ link on the top right. 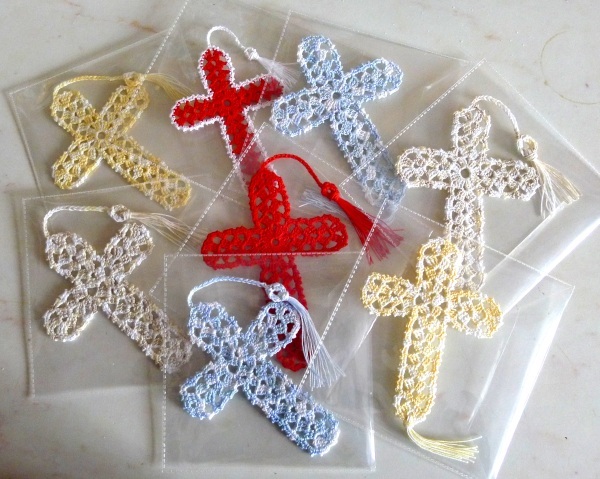 I presume that you are probably looking for my original Cross Bookmark which I have made in all sorts of colour combinations. The link picture is a multicolour cross. I follow Wild Daffodil and found your blog! I also love rainbows and have just bough yarn to make a rainbow blanket. I live in Weymouth, are you local too? No I live in Southampton. I went to Weymouth with my granddaughter once and I have visited Dorset a few times since. I love rainbow blankets too as expect you realise!